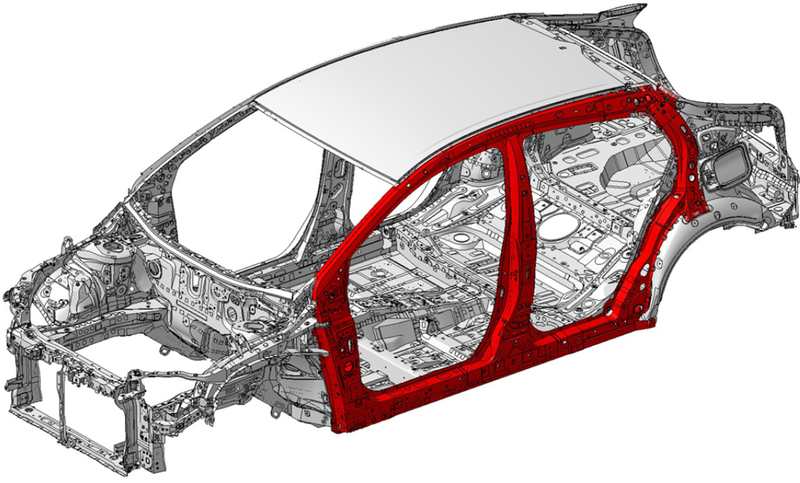 Toyota on Thursday announced it revised its crash protection designs and used more ultra-high-strength steel on the next-generation 2020 Corolla. The vehicle also will receive Toyota Safety Sense 2.0 standard, upgrading and continuing Toyota’s history of including the advanced driver assistance system suite with the Corolla. The next-generation 2019 Corolla Hatchback variant announced in March was the first Toyota to receive the 2.0 system. Toyota’s revamp to the staple American vehicle will mark the last of the country’s ten most popular vehicles (per GoodCarBadCar’s 2017 tallies) to switch to a new design generation and its accompanying structural and electronics upgrades. Repairers who have failed to keep up with modern OEM procedures, vehicle technology, training and equipment will truly be obsolete — if they weren’t already during other generations. Toyota sold 308,695 Corollas and 20,501 iMs (the Hatchback’s predecessor) in 2017. The next-generation Corolla goes on sale in spring 2019. Toyota said the 2020 model will mark the Corolla’s switch to the company’s new TNGA body platform first introduced on the 2016 Prius. A similar TNGA C conversion was done to the 2019 Corolla Hatchback variant, which was scheduled to have hit dealerships this summer. Toyota also Thursday confirmed changes to a variety of other Corolla body parts and said the revamps kept passengers safer. 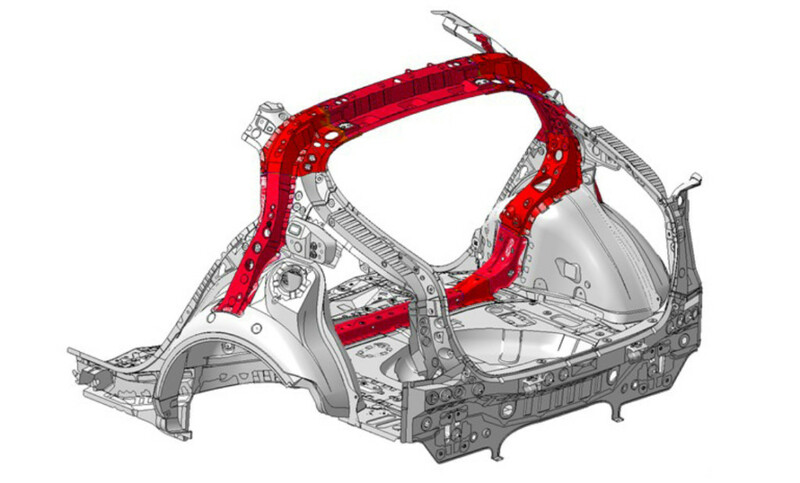 “High-tensile steel in the rocker panel reinforcements and the upper kick panel; wider underbody side members; strengthened rear bumper reinforcements, and thicker dashboard panel, floor panels, and underbody tunnel all improve energy dispersion in the event of a collision,” the OEM wrote. 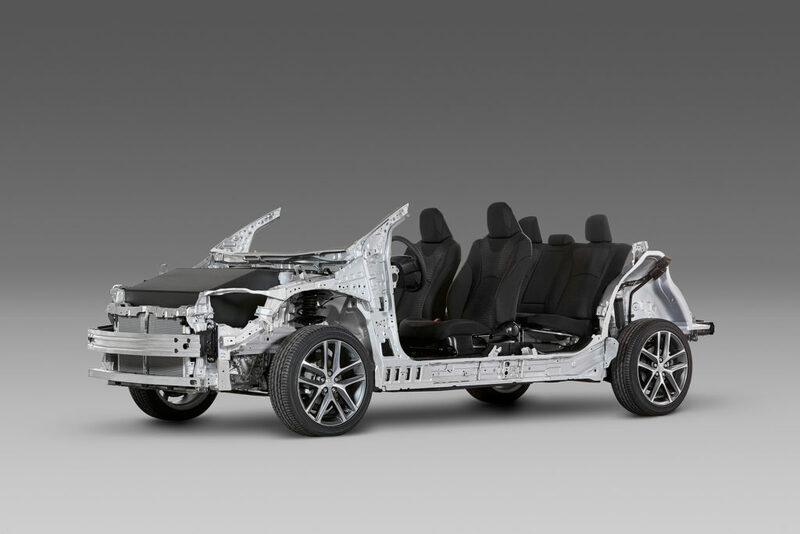 The new design also accounted for side-impact crashes, according to Toyota. “A squared figure-of-eight reinforced ring-shaped structure around the door openings, along with larger-diameter impact beams for the front and rear doors, are designed to help in the event of a side collision,” the OEM wrote. 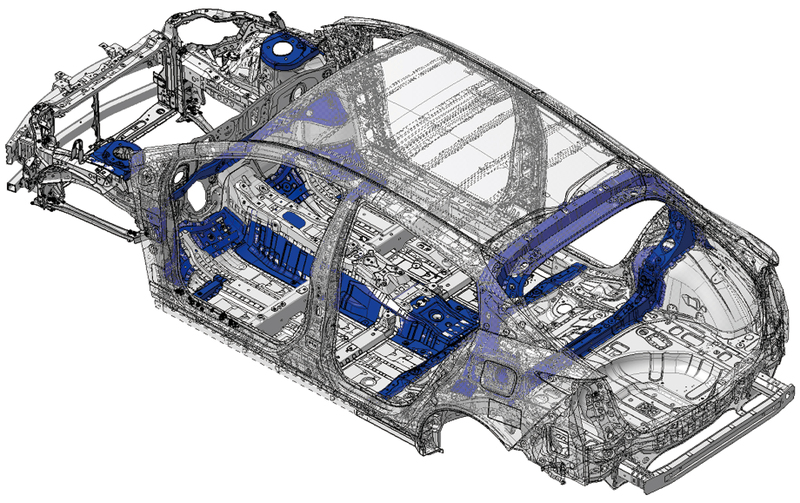 A Toyota spokesman hadn’t yet responded to an email early Friday evening asking about proportions of ultra-high-strength steel and other higher-strength steel compared to the outgoing Corolla. For what it’s worth, Toyota in 2015 said it boosted the 2016 Prius’ “high-tensile strength steel” from 3 percent to 19 percent. A Japanese edition of the news release defines this as “strong, lightweight hot-stamp materials” of at least 980 megapascals. The OEM also didn’t respond to our inquiry about other materials used to lightweight the vehicle besides steel. The 2019 Camry, for example, has an aluminum hood. 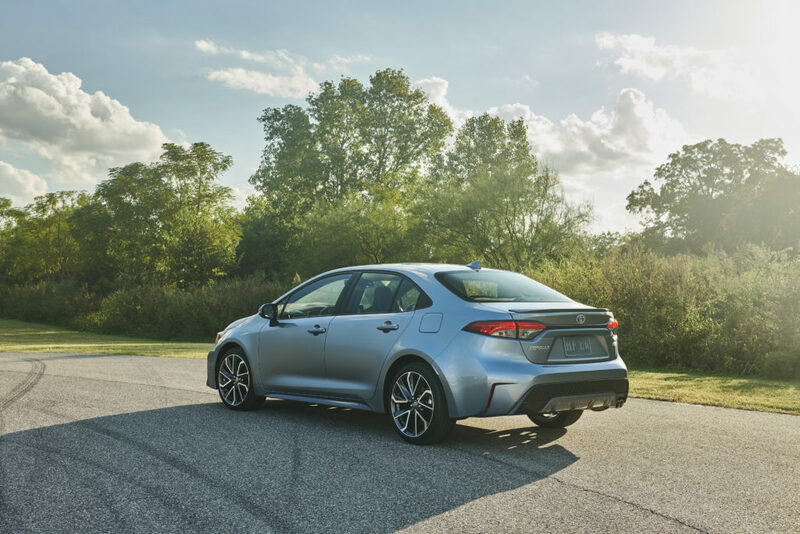 The platform also will grant owners their “smoothest, quietest ride” of all Corollas thanks at least in part to other structures that could affect collision repair procedures. Lighting: All the 2020 Corolla’s lights are LEDs, and some grades use LED turn signals. Taillamps on the “sporty grades” have smoked lenses, according to Toyota. Automatic high beams, which can switch themselves between low and high beams depending on if a vehicle camera sees cars in front of you, are a standard element of the Safety Sense 2.0 ADAS Suite. An optional adaptive front-lighting system will even turn the low beams with the car with the vehicle, “based on steering angle and vehicle speed.” Some calibration of both of these is probably likely on many repairs. Corolla is also introducing a “dramatic new color … a highly iridescent Celestite Grey Metallic.” Other colors include “Blizzard Pearl, Super White, Classic Silver Metallic, Black Sand Pearl, Barcelona Red, Blue Crush Metallic and Blueprint.” Some of these names suggest more complex refinishing will be necessary. 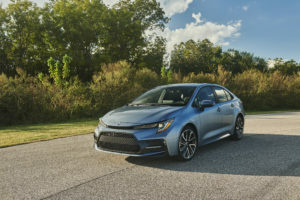 Cooling: Vehicle and passenger cooling systems can be some of the first casualties of a collision, and the Corolla has upgraded technology on both, according to Toyota. ADAS: Besides the automatic high beams mentioned above, Toyota Safety Sense 2.0 continues Safety Sense P features like autobraking and adaptive cruise control. It also has automatic lane-keeping. The description of Safety Sense 2.0 in the Corolla Hatchback news release suggests Toyota might have upgraded autobraking to detect pedestrians and cars at night and cyclists during the day. Other new ADAS features in the 2.0 format include “Lane Tracing Assist,” which makes tiny steering adjustments to keep the car not just in the lane but in the center of it. The suite also has “Road Sign Assist,” which can recognize Do Not Enter, yield and stop signs as well as speed limit placards and notify the driver on a dash panel. Blind spot monitoring can come standard or as an option. It’s unclear if Toyota offered this feature on the prior 2018 Corolla. Such technology revisions suggest shops might encounter fewer crashes but potentially more calibration responsibilities on the 2020 Corolla than they saw with outgoing 2018 Corolla.